Add on kit for 3+ car garages or larger spaces. 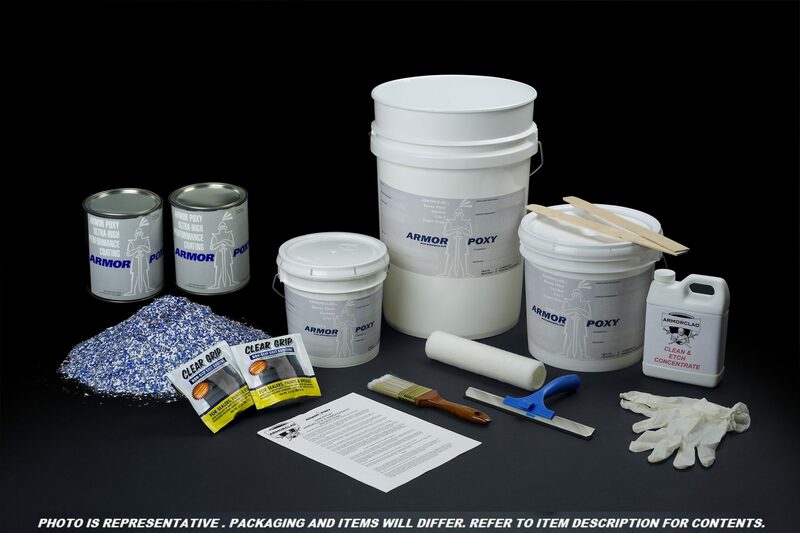 Kit contains: 1.5 gals 100% solids epoxy, 1 gal UltraGlaze Industrial 1 part clear topcoat, 1 pack Clear Grip non skid additive, 1 qt ArmorEtch, 3 lbs decorative flecks. Covers up to 300 sq ft. Please note that porous floors or thicker applications of ArmorClad could yield less coverage. Beige color will yield less coverage, and that darker shades of concrete, or more porous covered in beige may require a second coat, so we recommend use of our ArmorClad Primer for beige and lighter base color projects. Red requires two coats and comes with a 1 gal kit of red pigmented 2-part epoxy primer and charges out at an additional charge. 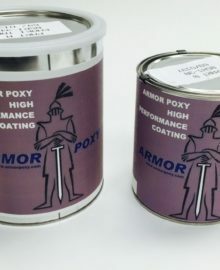 Another available option is our 2-part military grade topcoat, ideal for working garages or where fuels and solvents may come in contact with the floor. The 2-part military grade topcoat option is available at an additional charge.